Roskilde Festival gig blew our socks off! 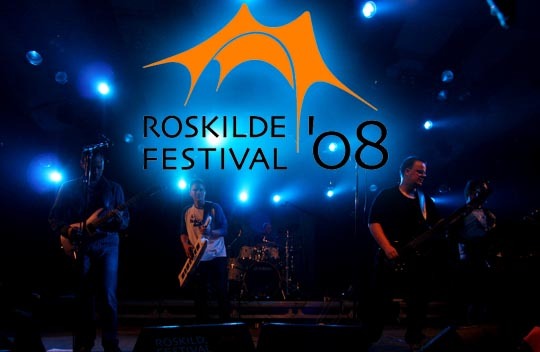 More info on our concert page for Roskilde has been added! Go there! We were interviewed straight after the concert. Read it here (in Danish here). The concert has been mentioned in Politiken's "iBYEN" section. Video from YouTube added. Pictures added. Pictures and videos added on the concert page. Finally we can announce that we're going to play at this year's Roskilde Festival. More info soon! 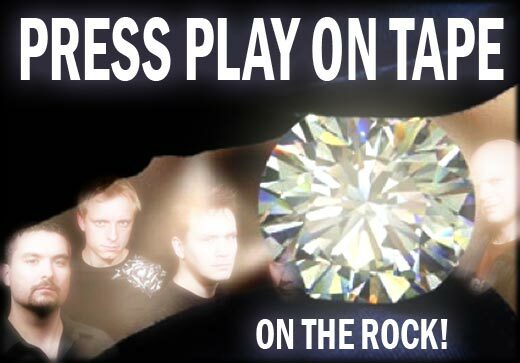 Now you can get your own copy of our poster for the upcoming concert on The Rock. It pretty big, around 3000x4000 pixels ~1 MB. That should be large enough to cover your fridge, for instance :) Get it here. PRESS PLAY ON TAPE Hero! (Our April's fool practical joke)After months of coding PRESS PLAY ON TAPE is proud to present "PRESS PLAY ON TAPE hero" a rythm game that enables you to play the PPOT tunes on every PC. Up to six players are able to play simultaneously online. Most Xbox, Playstation, Nintendo USB based controllers can be used. Line6 boxes, HardSID and QuatroSID compatible. Click here to go to download page (62MB). 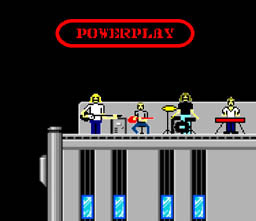 The Swedish NES band Powerplay from Stockholm is going to support us at The Rock on April 19th. So that's another reason to go pick up those tickets at Billetlugen. Yesterday, on St. Valentine's Day we played a short concert to celebrate the launch of the new DIKU web portal, DIKUtal. We're gonna ROC=K! Once again the venue is The Rock in central Copenhagen. The date is April 19th. Be sure to book your tickets in good time as they usually are sold out. Read more here.